Home / SkinCare / Jason C-Effects Super C Toner for a brighter complexion. 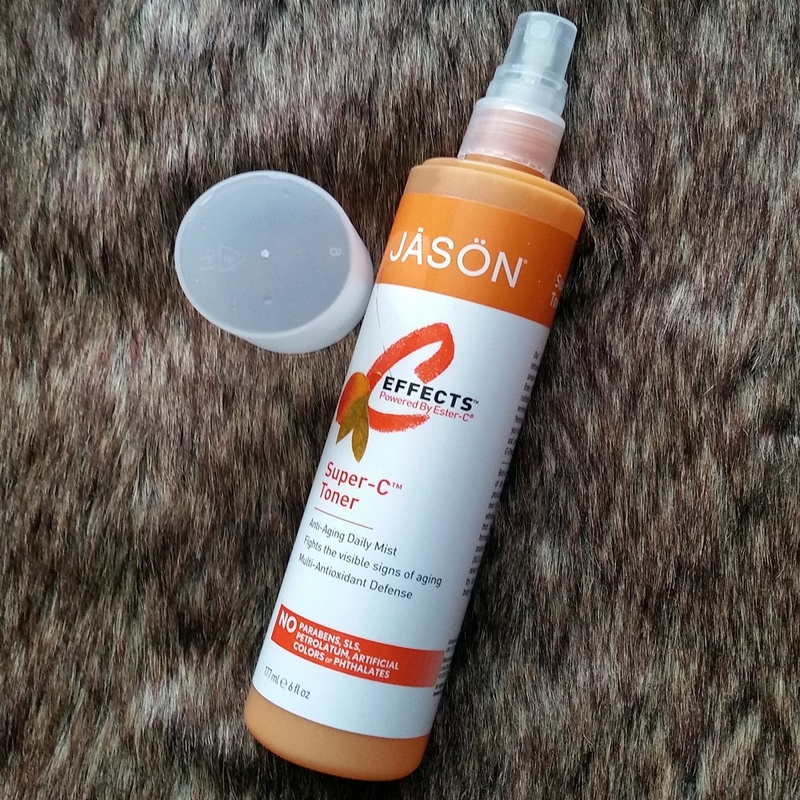 Jason C-Effects Super C Toner for a brighter complexion. The Jason C-Effects Super C Toner is your multitasking product that purifies, refreshes and tones your skin in one simple sweep. 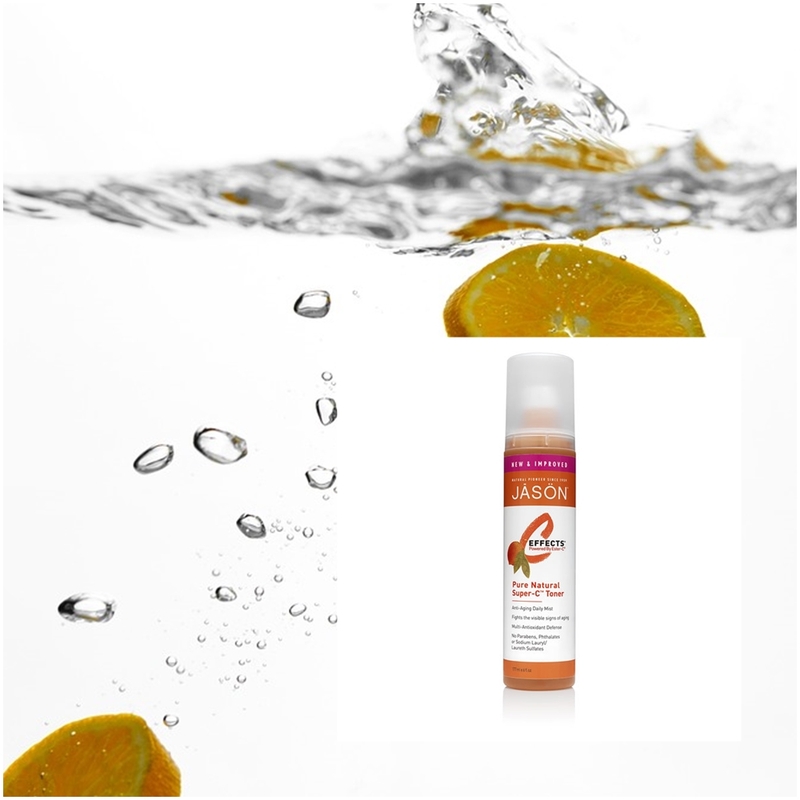 The natural formula contains two blends of antioxidants Ester-C and Vitamin C that improves fine lines, wrinkles and uneven skin tone caused by free radicals. The formula is pH balanced respecting your skin and this follows the Jason brand motto to produce and offer personal care products with your skin's health in their mind. Uneven Skin Tone - Lemon. Chamomile. Ascorbic acid. Dry And Dehydrated - Rose. Aloe Vera. Glycerin. Jason C-Effects Super C Toner Ingredients. Aqua (Water), Polysorbate 20, Glycerin, Aloe Barbadensis Leaf Juice*, Chamomilla Recutita (Matricaria) Flower Extract*, Hamamelis Virginiana (Witch Hazel) Extract, Myrtus Communis Leaf Extract*, Ascorbic Acid, Calcium Ascorbate, Panthenol, Potassium Hydroxide, Sodium PCA, Xanthan Gum, Alcohol*, Benzoic Acid, Dehydroacetic Acid, Phenoxyethanol, Sodium Benzoate, Benzyl Salicylate, Limonene, Fragrance (Parfum) *Certified Organic Ingredient. Shaking the bottle and pressing the spray head to deliver the toner on a 100% cotton ball, you gently sweep over the face and neck ensuring even coverage. A slight fragrance can be detected, whilst the skin is left instantly refreshed without feeling tight and stripped of its essential moisture. I really like how this instantly awakens the complexion and does not leave skin feeling sticky or tacky, skin is perfectly balanced and ready to accept and absorb your skin care products. 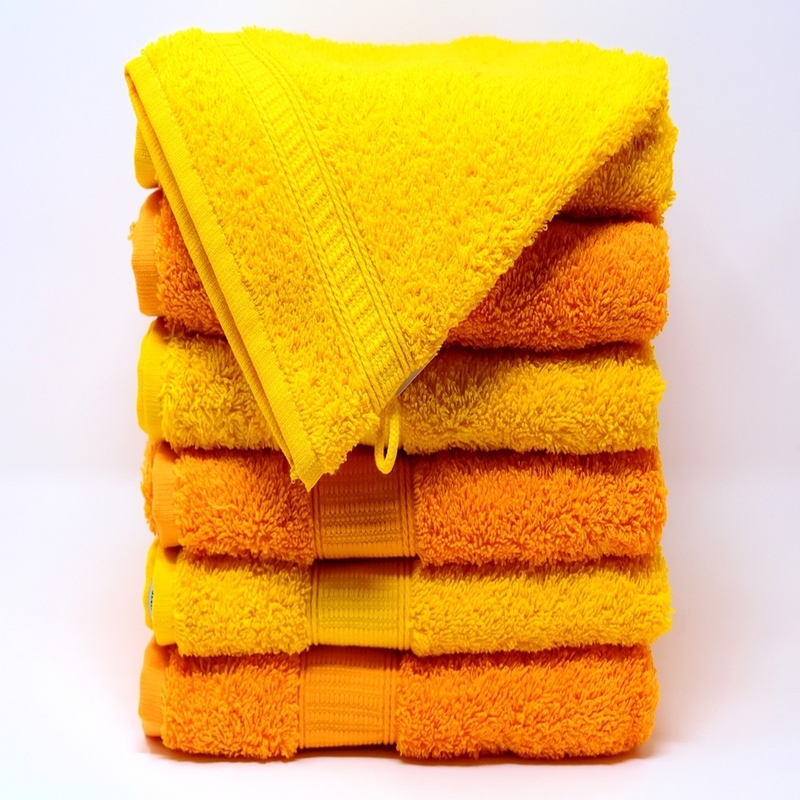 Looking for a toner to awaken skin in the morning and thoroughly clean the days stresses away in the evening? Consider the Jason C-Effects Super C Toner that respects and protects for a brighter complexion. X Neil.